The concerted efforts of troops of Operation LAFIYA DOLE on the ongoing clearance of the Boko Haram terrorists through Operation DEEP PUNCH II has been yielding tremendous results. Troops have successfully been clearing Boko Haram camps in Sambisa forest including Camp Zairo. They have also rescued civilians being held hostages by the terrorists, recovered arms, ammunition, Improvised Explosives Devices (IED) factories and making materials as well as other equipment. 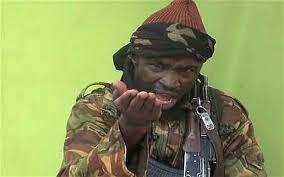 Consequently, the terrorists are in disarray and scampering for safety while others were surrendering. We therefore call on all those remaining Boko Haram terrorists to know that they are following a coward moving about in hijab disguised as a woman. We also request all the remaining Boko Haram members to come out from hiding and lay down their arms and be treated humanely. While concerted efforts are ongoing to track and apprehend the fugitive terrorist leader, we implore also members of the public, especially the residents of Adamawa, Borno and Yobe States to be more vigilant, security conscious and be on the look out of Abubakar Shekau and other terrorists that might disguise as women to escape.